I recently discovered a great plugin for Lightroom: LR/Enfuse. (Yup, I may be a little late to the game, but given that I have only been using Lightroom since January it is to be expected.) LR/Enfuse blends multiple images to produce HDR (high dynamic range) images or focus-stacked images. It works within the Lightroom workflow, resulting in a 16-bit TIF file that is automatically imported into the Lightroom catalog alongside the source images. It seems very fast, and given how well it is integrated into Lightroom I find it incredibly easy to use. For me, the most important characteristic of LR/Enfuse is that the images generally look much more natural than what I have achieved using tone mapping techniques and do not, to my eye, have much or any of the “HDR Look”. Yet there are situations in which the contrast range of a scene is too great for today’s best cameras to accomodate, even using graduated ND filters, in which cases HDR techniques may help solve exposure challenges. I have used Photomatix for years to blend HDR images but have never really been satisfied with the results. In my experience, Photomatix processing often introduces localized color shifts or changes in saturation that appear obvious and unnatural, and the final results of the blending typically do not match the quick preview that Photomatix offers, which means I am never really certain exactly how the HDR image will look until after the time-consuming Photomatix process is complete. 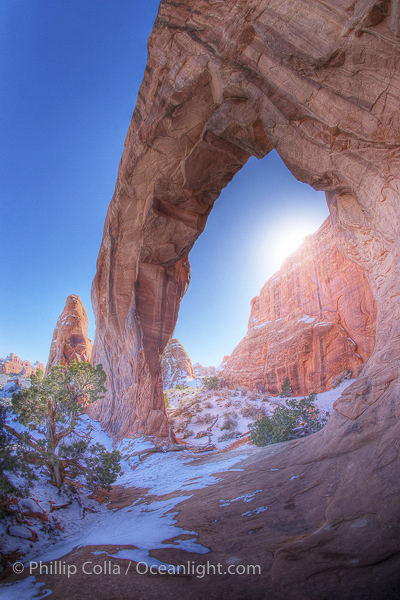 Now, to be fair, there are many photographers using Photomatix with incredible results. The Photomatix workflow, even employing the Lightroom plugin version of Photomatix, seems slow and often requires that I cycle through several blending variations before I obtain a result that I can use as a starting point from which further blending and masking in Photoshop can be done. My poor results are probably due to my lack of experience or unwillingness to develop sufficient expertise more than any flaw in the Photomatix software. Nevertheless, I have never really been pleased with the results of HDR blending using Photomatix, nor with the amount of time that is required to produce a good final result. On the other hand, I am very happy (so far) with the speed, ease of use, results and cost of LR/Enfuse. The LR/Enfuse plugin is “donationware” which means you make a donation to the software project and receive an code by email that unlocks all the features of the software. Don’t be fooled by the donationware business model of this software enterprise. The algorithms behind LR/Enfuse arise from some brilliant minds in the imaging field, and the 64-bit executable that is employed to process the images is bloody fast on my quad-core iMac. I made a donation, installed and licensed the software on my Mac, and made a few trial HDR blends on recent coast redwood images I shot. 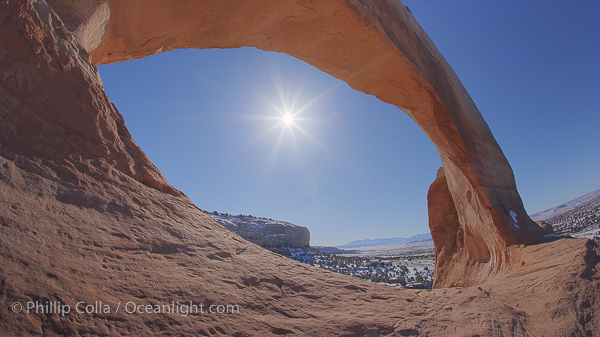 But I needed something with greater dynamic range to really test it out, so I recalled some very harsh images I shot in and around Arches and Canyonlands National Parks a few years ago. I was on a tight schedule and did not have the ability to wait for the sweet light of sunrise and sunset at all locations, often shooting in harsh light. I shot bracketed sequences hoping that later I could solve the exposure problems with software. At the time I used Photomatix and did manage to produce some blends, but the results (as you will see below) are not the best. In the course of an hour I made new versions of 12 different HDR series using the LR/Enfuse plugin in Lightroom, and am generally very happy with the results. The colors seem more honest, not exhibiting the shifts in hue and saturation that I have observed often using Photomatix. In the three examples below the only processing I did was to set saturation to +10 in Lightroom, then run the LR/Enfuse plugin using its default settings, wait for the blended image to be created and automatically imported back into Lightroom (usually about 10-15 seconds) and then apply a curve adjustment, generally to pull down the mid-darks. That’s it! As I said, I processed 12 complete HDR sets in one hour, including the time it took to install and learn the program, and even using just the default settings I am quite happy with the results. Furthermore, the LR/Enfuse versions appear to me to be exceptionally sharp when viewed at 100%, with no ghosting of any kind, whereas Photomatix produces, for me at least, images that are quite soft and must be sharpened quite a bit before presenting online or to clients. 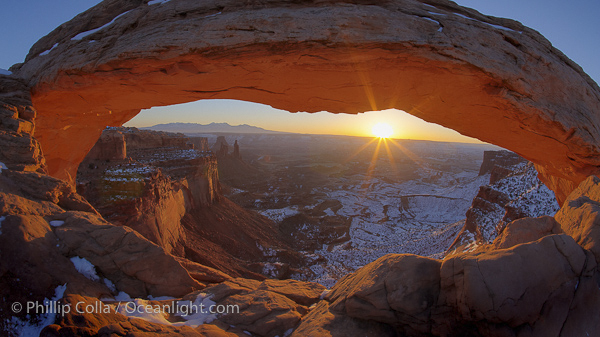 Blending example #1 is Wilson Arch, shot with a Canon 15mm f/2.8 fisheye lens and Canon 1Ds Mark II camera. Bracketing was accomplished by varying the shutter speed (constant aperture, very important) one and two-third stops for each exposure step. LR/Enfuse does have an optional image-align-stacking step, but it does slow the process down. I found that the alignment step could be omitted for my images since they had been taken while the camera was locked down on a very heavy tripod. 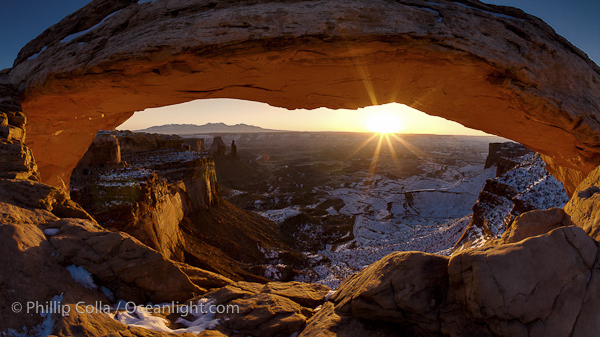 The second example is of Mesa Arch, a very commonly photographed arch in Canyonlands National Park, again shot with a Canon 15mm f/2.8 fisheye lens, Canon 1Ds Mark II camera and using one and two-third stop brackets. 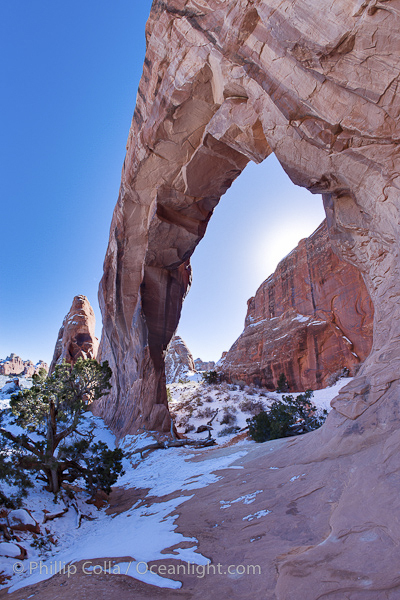 The last example is of Pine Tree Arch in Arches National Park, with the same equipment and bracketing. In these images I applied some lens distortion correction. Lightroom’s lens profiles must be great since the results after “defishing” are sharp corner to corner. Are these new images made with LR/Enfuse better than the previous ones I made with Photomatix? I’ll need to consider them for a while, along with the other 20-30 HDR images I have in my files. I can say the LR/Enfuse is so quick and easy to use that I won’t hesitate to shoot a bracketed tripod-mounted sequence when shooting landscapes and the dynamic range suggests HDR might have promise. With the bracket series imported into Lightroom, it literally takes a minute or less to apply basic raw processing adjustments (such as baseline saturation, contrast, brightness, etc. ) to the middle image in the sequence, sync those settings to the other images in the sequence, blend the images using LR/Enfuse into a 16-bit TIF and then perform any final adjustments to the blended image in Lightroom. As a final word I will mention that I consider my photography to be “natural history photography“. The clients who license my images are primarily publishers and editors for whom truthfulness and realism in imagery is very important. I do not limit myself to images that are made only “in camera”, nor do I limit myself to images made only from a single frame if the limitations of the camera get in the way of achieving the final result. 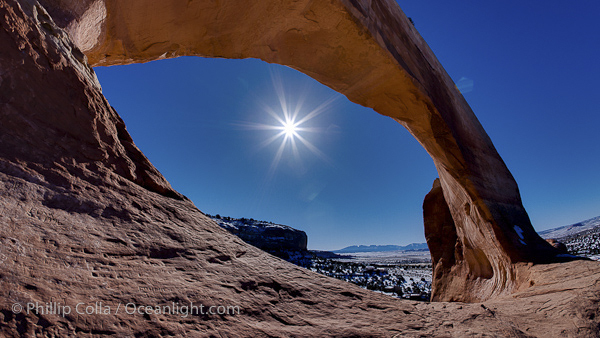 However, when combining or blending frames, either in panoramic images, in “handmade” masked images or in HDR images made with software tools, honesty and a straightforward depiction of the subject are driving forces for me.